I love books like this, so I really hope that this one is awesome! I love it when people take the time to think about what a famous character or person could have been like before they were famous... It reminds me of this amazing fic I once read about Voldemort back when he was Tom Riddle, and it was amazing. Love stuff like that. So that's it for another week! I'm enjoying this - I might not post every week, but I think it's something I'm going to keep in mind from week to week. This is also popular, I have this on my goodreads tbr, great pick!! I think I saw at least one other person who has this as their WoW, hehe. But it's kind of nice to know that other people are just as excited! The cover definitely caught my eye when I first saw it - minimal but nice! YES! so excited for this book! I hope we both get to read it soon! I heard it is much more romance than it is swashbuckling pirates. YES!! Definitely looking forward to this one too for the same reason as you :) Not too long to wait now! I hope I'll like these characters - they better not have black hearts! - because the 'Blackbeard' mythos is actually really appealing! Like you I think Tom Riddle, Captain Hook etc are all quite interesting characters! So excited for this one as well! Can't wait to read it. Hope you'll enjoy it! Great pick! Great Pick I was really intrigued about this book when I first heard about it a couple of months ago. 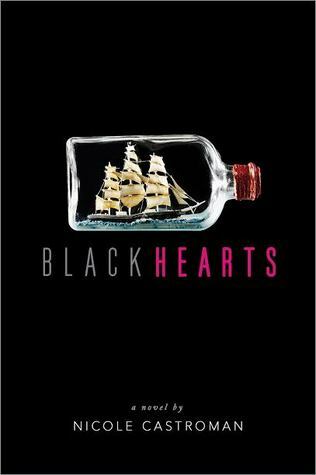 I absolutely love reading pirates books especially if it is about Blackbeard. And this one looks and sounds fantastic! Thank you for stopping by my blog.